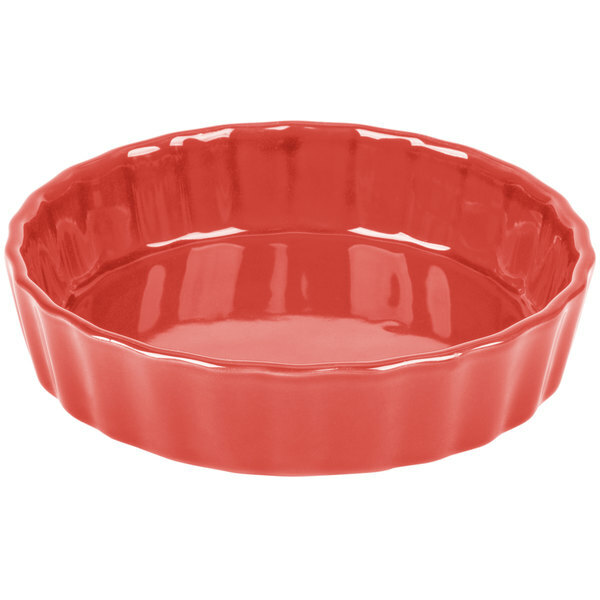 Serve your creative quiches with contemporary charm in this CAC QCD-5RED Festiware 5" red fluted china quiche dish. 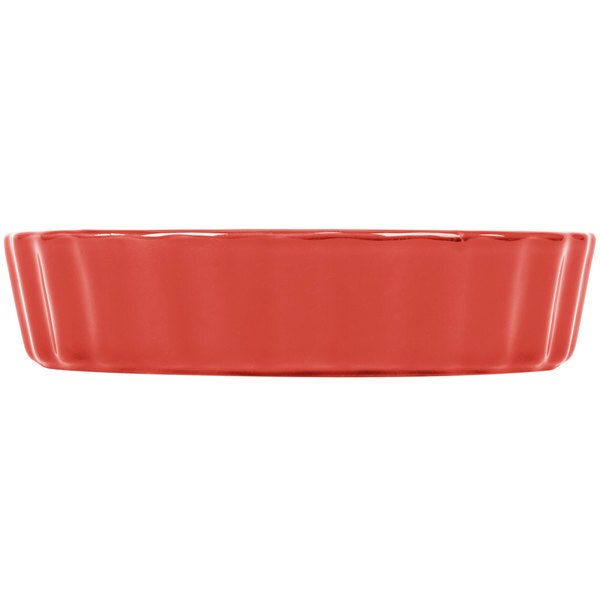 The bright red sheen makes this quiche dish an ideal choice for both modern and traditional food establishments, fitting the dinnerware styles of a wide range of restaurant types. 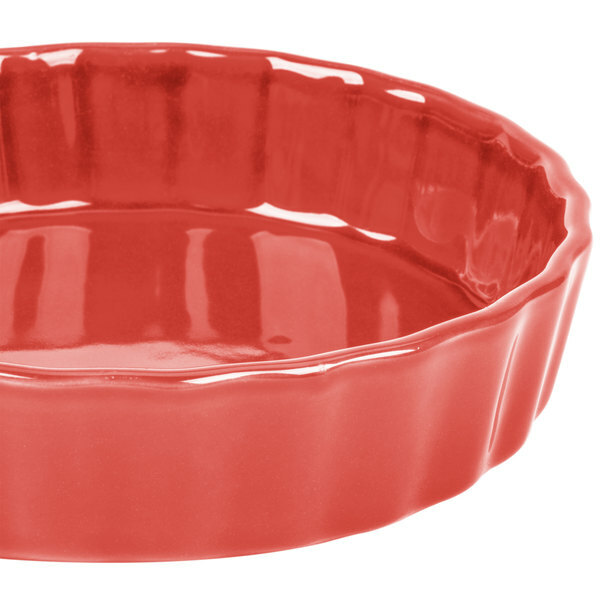 The glossy fluted red finish is also perfect for accentuating the vibrant hues of your signature dishes, allowing them to pop with color for a beautiful presentation to your guests. This quality china dish is a versatile addition to your dinnerware collection that adds a memorable touch to any quiche, entree, or appetizer you serve with it. 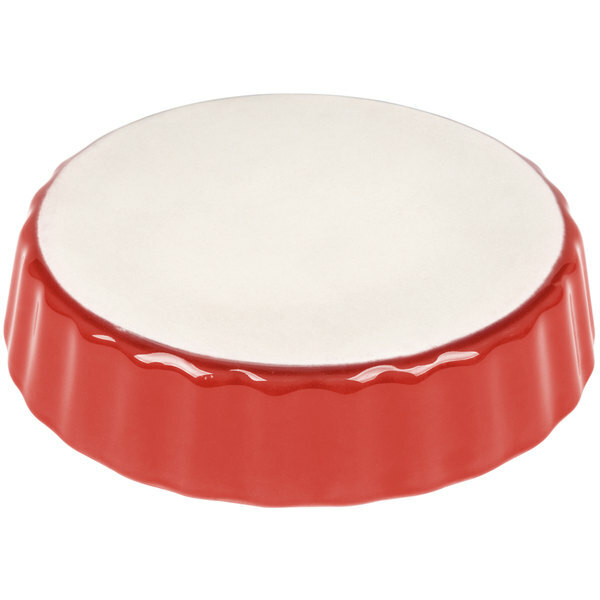 Microwave, dishwasher, and oven safe, this dish allows for easy cleaning and unique serving options; from reheating pre-cooked food to providing guests with authentic oven-to-table service, this circular quiche dish does it all in simplistic style.